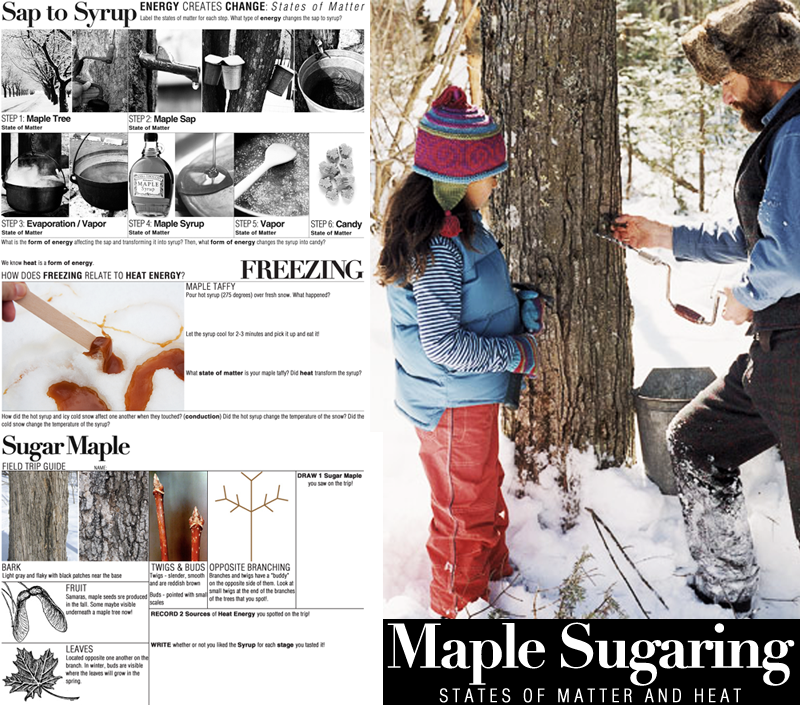 Explore what form of energy transforms maple sap into maple syrup, then maple candy! - Students label the states of matter for each stage of the maple syrup process. Then, they identify heat as being the form of energy that changes maple sap into syrup, then maple candy. - Maple Taffy Experiment with snow, students record the results of the experiment.